Charming Tahoe City is popular for its easy access to West Shore of Lake Tahoe and its close proximity to the ski areas of Squaw Valley, Alpine Meadows and Homewood. Tahoe City also known for having some of the best restaurants in the area. 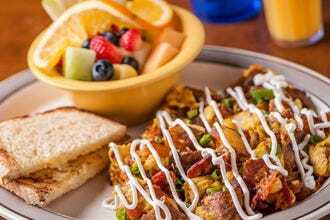 These 10Best choices range from elegant restaurants and bars with a great lake view (like Christy Hill) to cafés that serve some darn good breakfasts and coffee. For breakfast, start out at the Fire Sign Café for their large servings of Eggs Benedict or waffles. For lunch visit Bridgetender or Jake's on the Lake, which are both good for people watching or being by the water. For an afternoon pick-me-up, get a tea or coffee from the Dam Café and stick around to watch the people on Fanny Bridge. 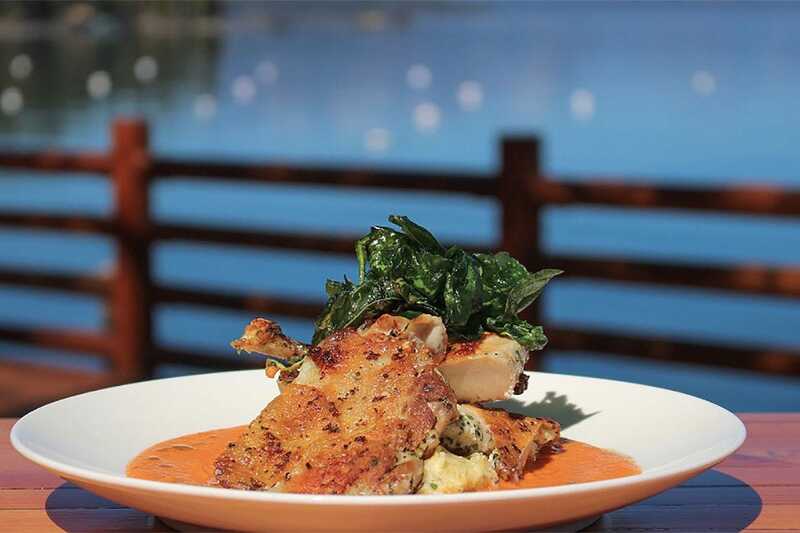 For dinner, head over to the West Shore Cafe in nearby Homewood for their small plates or delicious cioppino or to Montagna at the Resort at Squaw Creek for amazing mountain views and light Italian favorites. 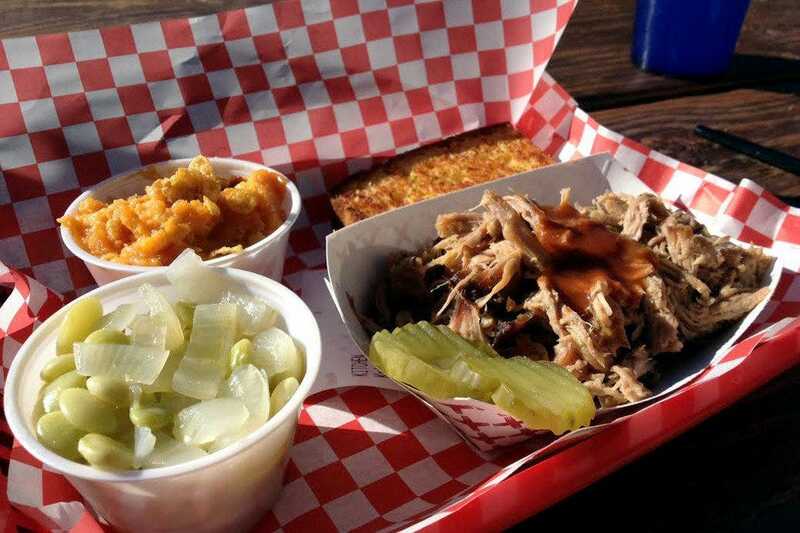 Moe's Original BBQ, originating in Alabama, has come to Tahoe City�and you can't beat the location. 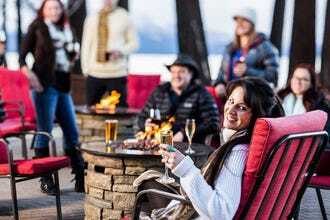 This BBQ joint, known for its daily smoked meats and multitude of sides, is located right on the Grove Street Pier in Tahoe City and offers great views of the lake along with its Southern style BBQ. Various dishes including pulled pork and ribs, seafood, chicken and children's plates are available as an ala carte or platter option. Daily sides include lima beans, collar greens, coleslaw and sweet potato casserole. The restaurant offers outdoor seating, a bar and several to-go options including a cooler meal for boat owners who use the pier. 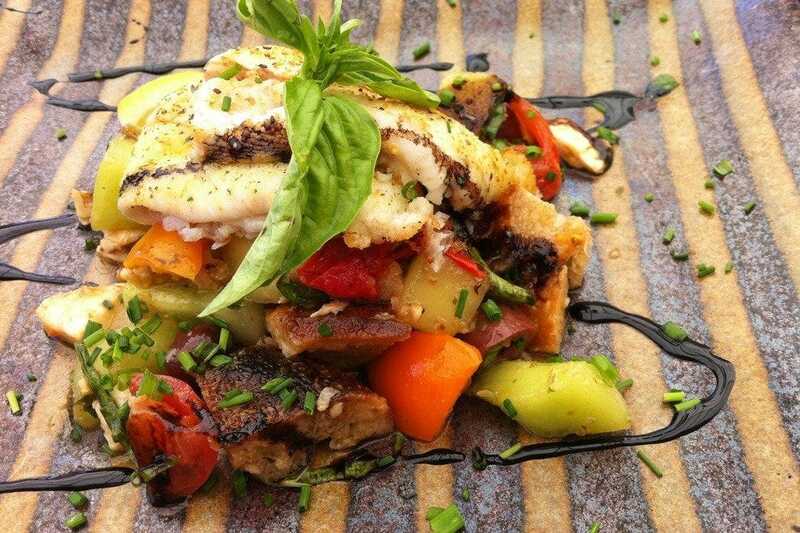 The popular Jake's on the Lake serves lunch only on weekends, but the seafood-focused menu is worth an entire week's wait. 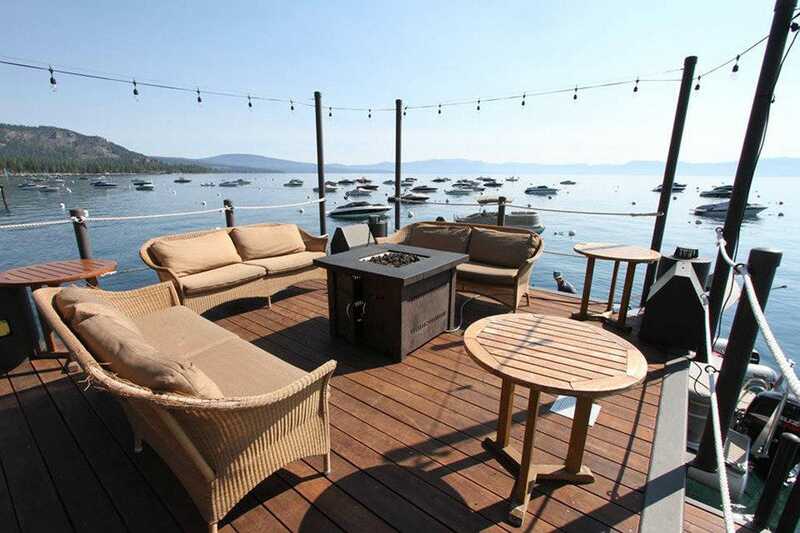 Enjoy spectacular views of the marina on Lake Tahoe as you dig into grilled prawns with basil and prosciutto, a shrimp and crab melt with provolone over English muffins, or a buttermilk and panko chicken sandwich. Salads, soups, and several desserts are on hand to round out your meal. A kids' menu ensures that families leave happy. If you're making an afternoon of it, the full bar has its own menu, along with specialty cocktails, wines, and draft and bottled beers. 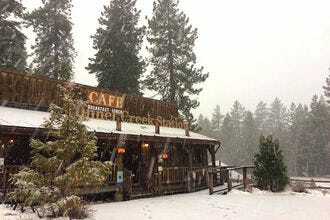 This small cafe in Tahoe City is a mix of everything: sports bar meets lunch place meets gathering area meets live music venue. It is a beautiful, little place with comfy places to sit and plenty of parking. The decor is a mix of dark wood, nice stained glass and local artwork as well as big screen TVs. The friendly, quick staff serves up tasty sandwiches, soups and salads and has a generous happy hour. 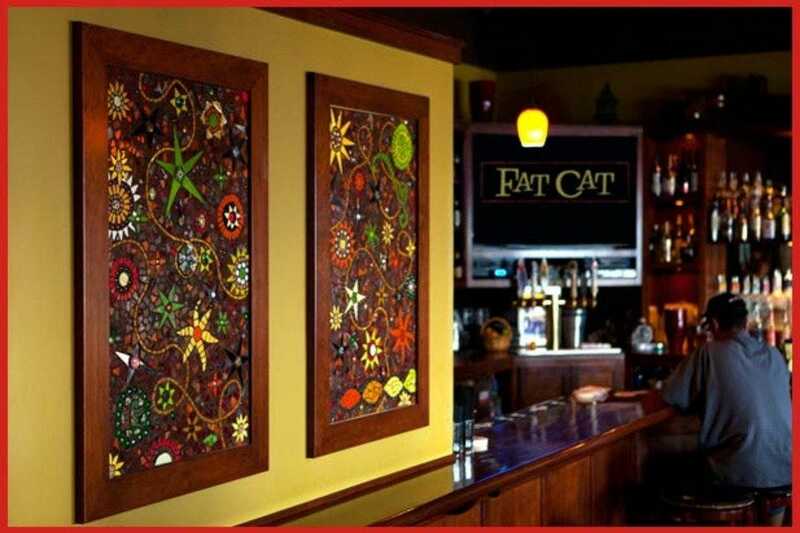 The Fat Cat Cafe is a cool and laid back restaurant, bar, artists space and performance area for local and regional bands. Come here during the day for great sandwiches and salads and stay into the night for appetizers, a fun bar and live entertainment. 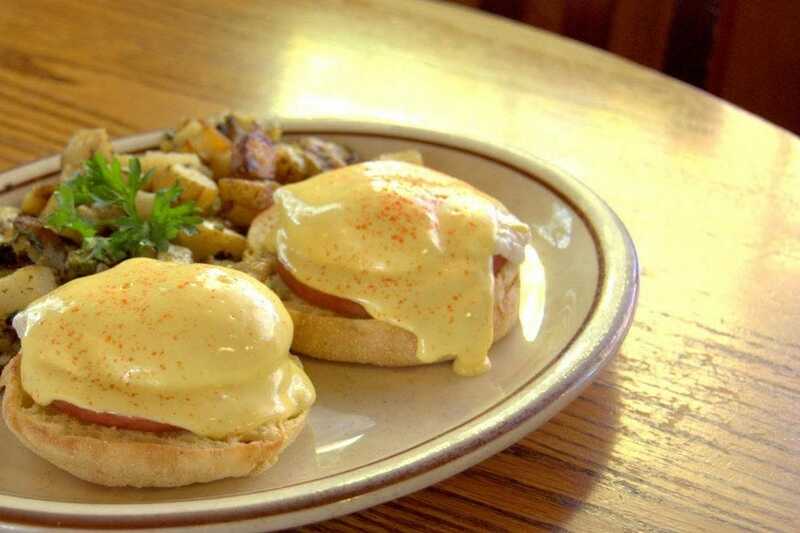 With rave reviews from locals and visitors and lines often out the door on busy weekend mornings, the Fire Sign Cafe is surely one of Tahoe's most popular breakfast spots. 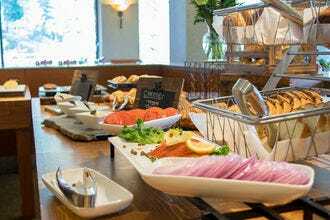 A quick glance at the menu shows why a dill and artichoke omelet, veggie eggs Benedict, a gouda scramble, and buckwheat pancakes topped with hot, freshly-made blueberry and raspberry sauce are representative of the ante meridiem treats that await. 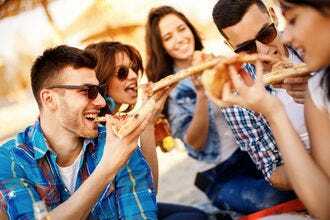 Lunch is served and contains menu items like soups, sandwiches, burgers and burritos, but for late-risers, breakfast is available all day. An attractive deck is open seasonally. The restaurant was featured on Rachel Rays "Tasty Travels" on the Food Network. 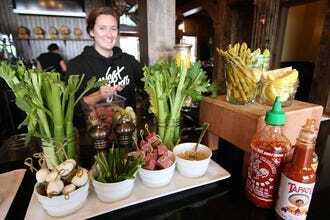 The cuisine at Wolfdale's in Tahoe City is an interesting mixture of California and Japanese. The building in which this restaurant resides was built in 1889 and now houses this semi-casual and very popular restaurant. Chef/Owner Douglas Dale apprenticed at the Seventh Inn in Boston under Chef Hirosi Hayashi. The menu changes often depending on what's in season, but you're likely to find entrees ranging from seared Alaskan halibut in green curry broth to grilled elk chop with braised veggies and elderberry sauce. Other entrees include Thai Seafood Stew, Tagine Braised Lamb Shank and Wolfdale's Cheeseburger with Truffle Fried. Desserts include items such as American Artisan Cheeses and Warm Chocolate Molten Cake. Casual dining can be found at the bar, and a lovely patio opens when the weather's warm. Part of charming Sunnyside Lodge, this lakeside restaurant delivers wonderful views and straightforward, filling lunchtime eats. 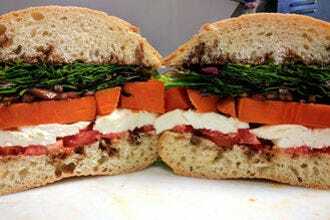 You'll find burgers, fish, and chicken sandwiches, as well as pasta dishes, salads, and soups. The lodge's dock staff can assist you if you arrive by water, but show up on the early side if you want to secure a seat on the deck. The wood-paneled, rustic dining room provides atmosphere to spare if it's chilly outside. Dinner sees an emphasis on well-prepared American favorites, including seafood and steaks. Typical Sunnyside menu items include Black Sesame Seared Ahi, Sunnyside's Famous Fish Taco and allergy-free items. 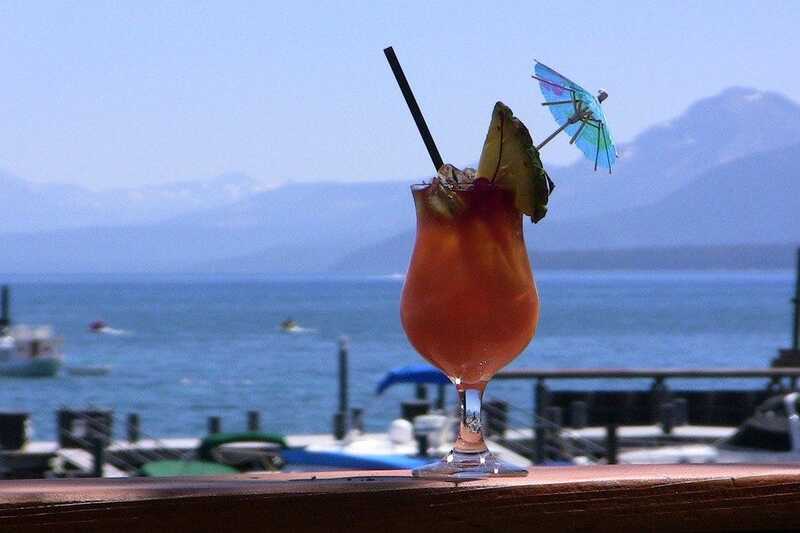 Hacienda del Lago is known for both its margaritas as well as it's great view of the Tahoe City marina and the lake beyond. Their menu is not too bad either. 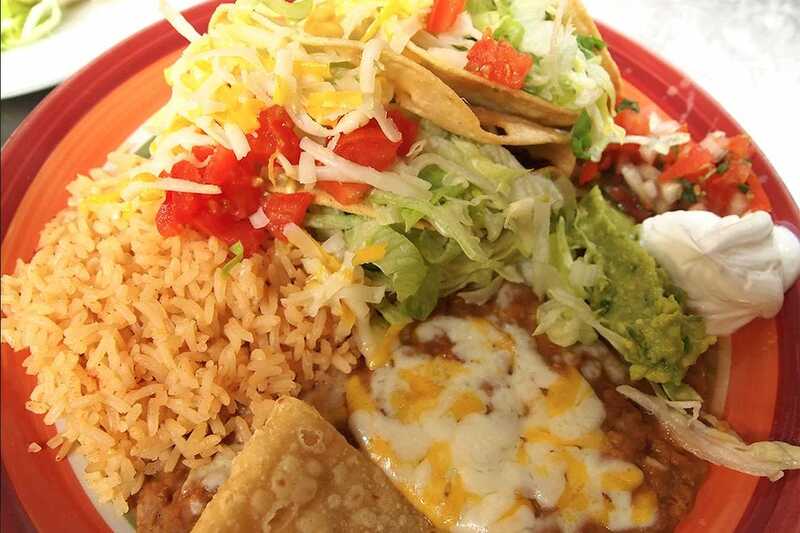 The Hacienda serves up traditional Mexican food like Chile Colorado with juicy cubed beef in red chile sauce, Carne Asada, Tacos and Enchiladas served with fresh guacamole, rice and your choice of beans. Check out the sizzling Fajitas del Lago. For only $13 you get marinated strips of beef or chicken sauteed with bell peppers and onions.The signature margaritas include the Silly Pepper with Gran Centenario Reposado mixed with house made simple syrup, lime juice, freshly chopped cilantro and jalapeño. 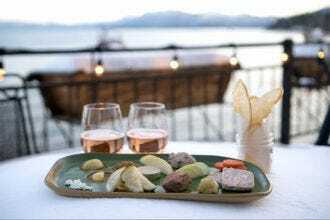 Located in the center of Tahoe City, this restaurant offers excellent food and one of the best views on the lake. It's a small restaurant and reservations may be required during the high seasons, but the staff is friendly and very accommodating. They serve up a nice selection of wines by the glass and the bottle and the menu is small but it revolves around the changing seasons and the availability of fresh ingredients. The entrees include pork, lamb, seafood and pasta using fresh, local ingredients. For a starter the Caesar Salad is huge and very delicious and the various Ravioli dishes are a great entree. For dessert, try the Affogato with cranberry biscotti. Located in Homewood on the West Shore, the West Shore Cafe and Inn is defined by its long, beautiful pier and buoys that welcome both boaters and non-boaters to dine. The cafe serves lunch, dinner and cocktails as well as some excellent dessert. Try the Warm Lobster Dip as a starter, add on the Cauliflower and Pomegranate Salad with crispy prosciutto and mustard-pomegranate vinaigrette. For a romantic dinner order the Pan Seared Salmon with white beans and yams. The West Shore cocktails include classics with a twist like the West Shore Old Fashion with cointreau aged for one month in an oak barrel. Located at the beautiful Resort at Squaw Creek, Montagna has stellar views of the mountains it is named after. Montagna features a contemporary approach to classic Italian dishes and uses locally sourced and sustainable ingredients. 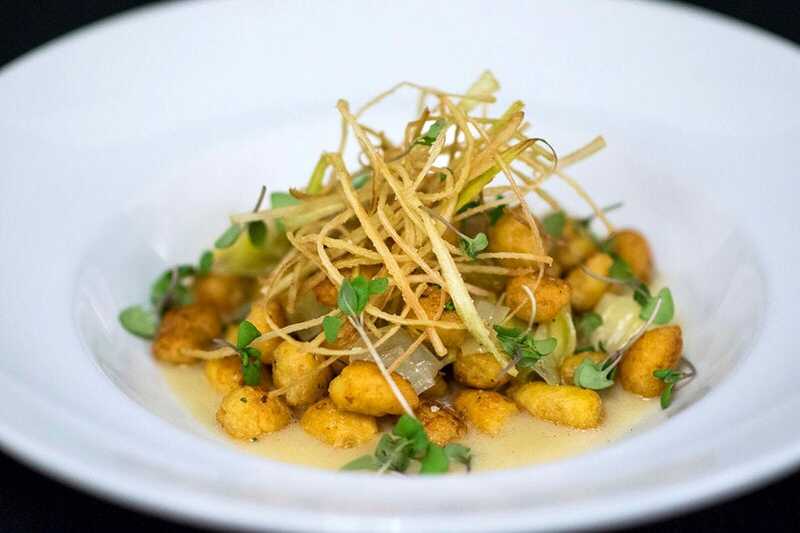 Start off with a classic salad of Squaw Caprese ($16) with fresh mozzarella or the buttery Parisian Gnocchi topped with herbs grown on the resort's rooftop garden ($14). The wood fired oven dishes out fresh garlic bread, Pacific swordfish ($26) and even beef tenderloin ($39) and the pasta (like the bucatini with shrimp) is made fresh in-house. Don't forget to order a glass of wine from the extensive list of Italian and California vintages.